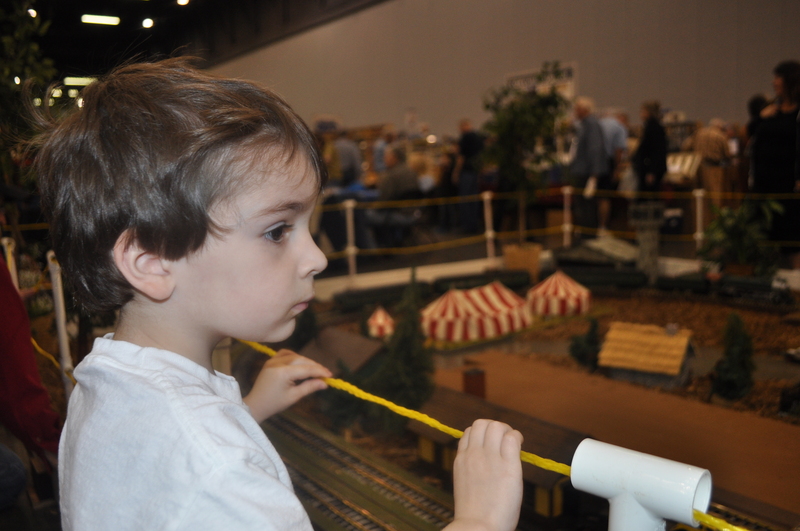 This past weekend Kev took Tom to a train expo nearby. I really wanted to go, too, but Alice was sick (bad cold) and we didn’t think she’d be thrilled about going — so it was a nice boys day for them. I did make Kevin take the camera, which he claimed had some sort of problem and so he couldn’t take very many. Apparently what happens at train expos, stays at train expos. 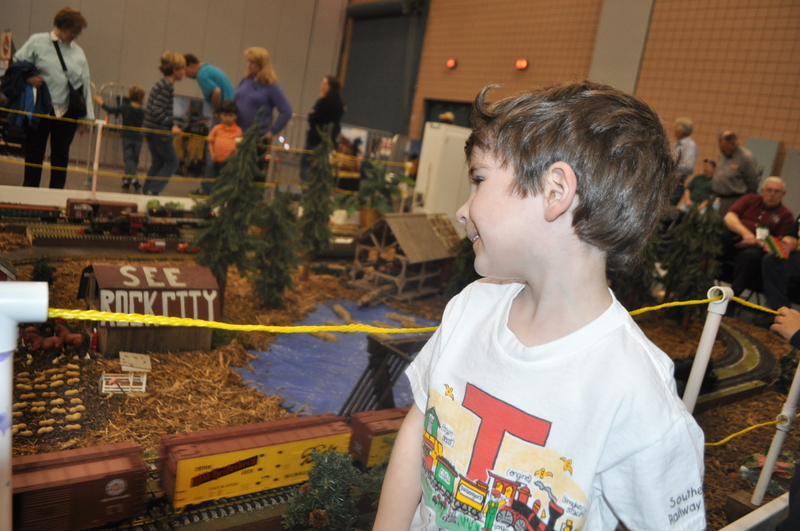 Checking out the model train. I’m pretty positive this is Tom smiling for the camera. By smiling for the train. Of course! 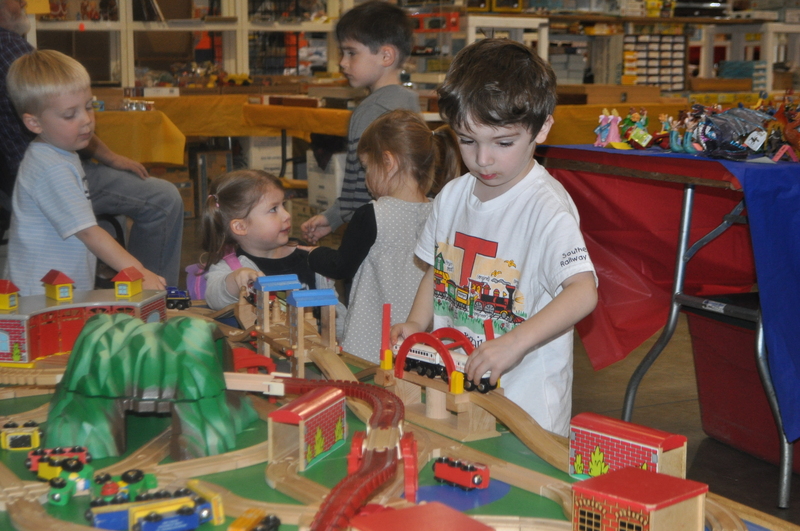 The train table was the biggest hit. Because it’s the biggest hit everywhere we go. Even though we have one taking up our entire living room. True story: I drive to a haircut place a bit far away because it has a train table and that makes Tom SO HAPPY. Train tables are taking over the world. 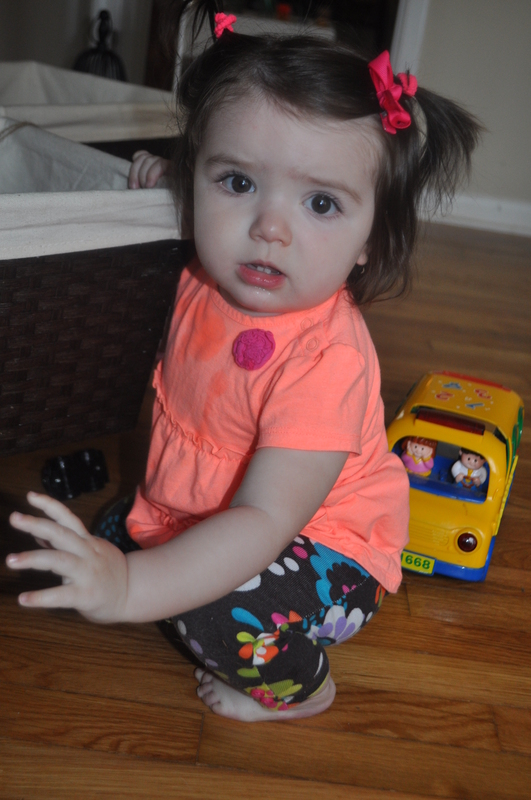 I tried to figure out how to fix Alice’s hair by giving her pigtails. Little teeney weeney itty bitty pigtails. I have no idea what I’m doing. I didn’t do a very good job. I mainly just pissed her off. So…I’m starting that early! But, seriously? Cutest little piggys! 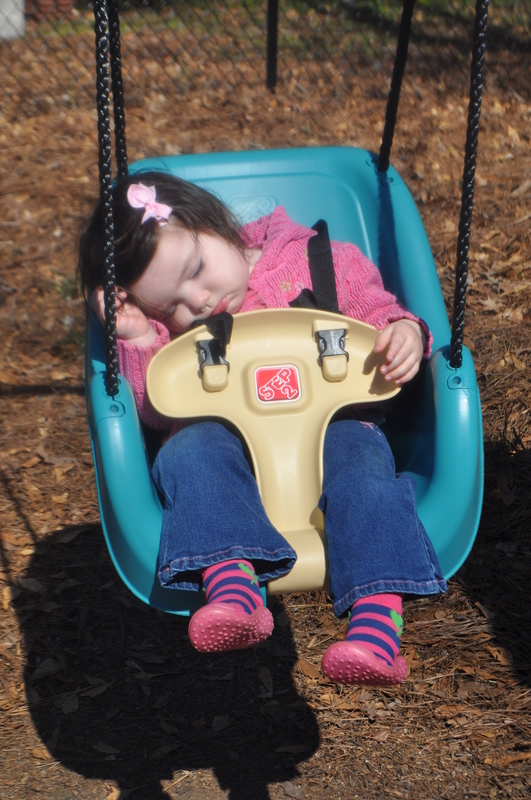 And then I let her zonk out on her swing. Because girls day is all about outside napping! 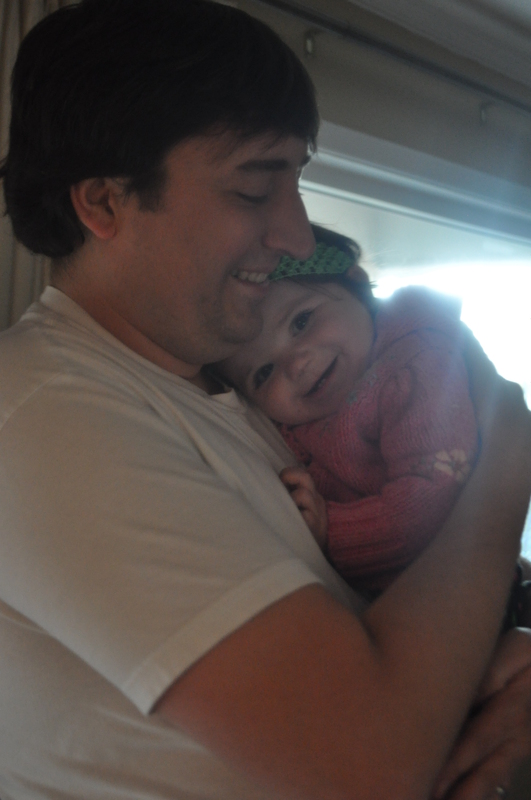 And she was so happy to see her Daddy when he got home. And the feeling was mutual.